Dr. Janice Schafrik is a Adjunct Assistant in the Rossier School of Education’s Master of Education in Postsecondary Administration and Student Affairs program. 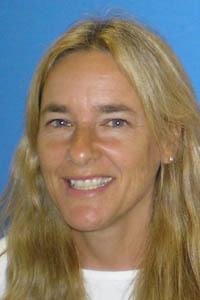 Dr. Schafrik is the Director of Training for the University of Southern California’s Psychology Postdoctoral Fellowship Program in College Student Learning and Disability Support Services. Her areas of specialization are in research methodology and design, psychological assessment, multicultural counseling, and college student health and wellness. Her research interests include best practices in the training of counselors, college student disability performance outcomes, and the international college student experience. Recent research includes A mixed-method approach to outcomes research: Triangulating quantitative and qualitative data (AIR), Partnerships for inclusive education (CPED), and current Mixed-methods international student experience study. Dr. Schafrik served as past Director of the USC Center for Testing and Assessment, providing outcomes assessment within the division of student affairs and statistical and research consultation to academic units across campus. Dr. Schafrik received her PhD in Counseling Psychology from the University of Southern California and her BA in Psychology and Economics from the University of California, Los Angeles. She is a licensed psychologist in the state of California. Dr. Schafrik teaches a freshman seminar course in research critique and clinical diagnosis (FSEM 100—The Myth of Mental Illness) and graduate courses in the Counseling Process (EDUC 500), Theories in Counseling (EDCO 541), and Master’s Seminar (EDUC 593ab). .
Master’s Seminar (EDUC 593ab). .